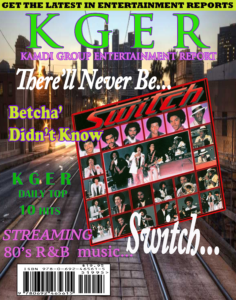 …R&B Group Switch got their first record deal after running into Jermaine and Hazel Jackson on an elevator and giving them a demo cassette. Jermaine called the next day and had them meet him for an “informal” meeting at the hospital where his then wife, Hazel Gordy, was having their first child. Also at the hospital, the entire Jackson family, including little sister Janet and our future King of Pop, Michael. A few months later Switch was signed to Motown…. ….. Switch member Phillip Ingram moved to Los Angeles after his not yet famous brother, James Ingram, was already there looking for a record deal. Phillip beat James and secured his deal with Switch at Motown first. James soon followed with his own solo record deal. Both undeniably talented brothers giving us memorable music that continues to live on. 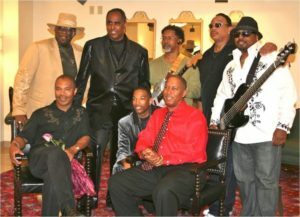 Original Switch members Gregory Williams, Jody Sims and Bobby Debarge were initially part of RCA Recording Group “White Heat”, that was managed and produced by Barry White. 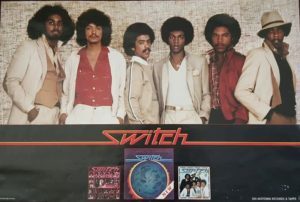 In 1976, two years after the break up of White Heat, Gregory Williams added Phillip Ingram, Tommy Debarge, and Eddie Fluellen to form a new group we all know as Switch. The name “Switch” came from the group’s unique ability to switch from different lead vocals and instruments during a song. After a long hiatus, in 2003, Switch found incredible replacements for the irreplaceable brothers, Bobby and Tommy Debarge. Switch now performs with new front man (next to Phillip Ingram), Akili Nickson, who can not only be heard singing Bobby’s notes effortlessly and beautifully, but he also uses his “legal voice” as an attorney who serves on the Board of the Langston Bar Association. Betcha’ Didn’t Know all that...did you? ?